Flying pets come back for this new version of Minecraft. Pet Bats 1.7.2 and 1.6.4 is a mod that lets you tame bats. Among its features we find to name your new pet, make them evolve so they can defend you from mobs. When they kill a mob, they get the experience and will evolve. The mod adds a book with information about the features of this mod. To tame the bats, pumpkin pie need. 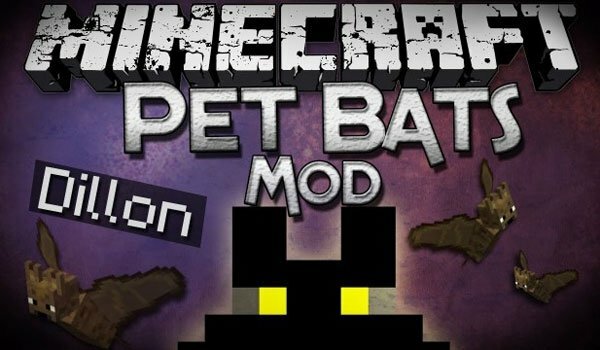 How to install Pet Bats Mod for Minecraft 1.7.2 and 1.6.4? Wonderful exaanpltion of facts available here.